A new vodka release from the company that built Grey Goose into a monstrous vodka empire is an extremely significant event. After selling Grey Goose to Baccardi (and waiting for a non compete to expire), Sidney Frank returns with an all new product aimed directly at besting the very beast it helped create. 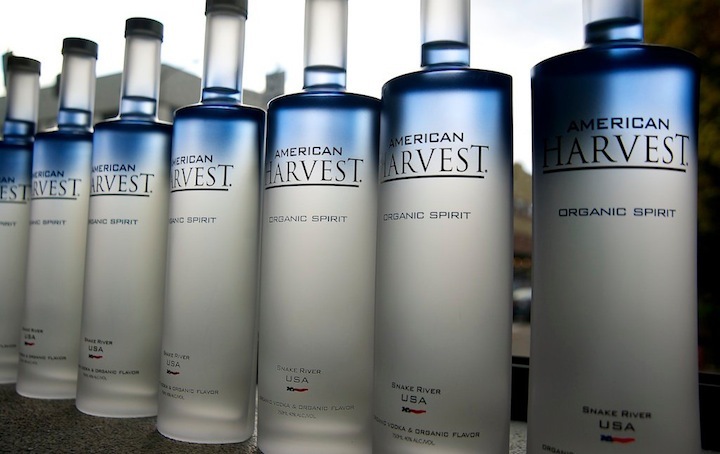 The model is oddly familiar: this time, rather than espousing the virtues of French vodka, American Harvest Organic Spirit reflects the virtues of being an American spirit. From the use of “American” in the brand title to a miniature American Flag on the bottom front of the bottle, American Harvest is clearly trying to position itself as being AMERICAN. One of the more amusing spins on the bottle comes on the front label, as it proclaims proudly “Snake River USA”, which sounds a lot sexier than Rigby, Idaho, where it’s actually distilled. American Harvest is interestingly placed in the market. It’s aiming at being both a vodka produced in the “Good Ol’ US of A” as well as a premium vodka that sits between Belvedere and Grey Goose. This slightly schizophrenic identity will either be the key to its success or its downfall. American Harvest Organic Spirit (80 Proof $23.99) – has a very light, sweet and clean nose, with noticeable sugar notes backed back by very subtle vanilla. The entry is very soft and sweet, and slightly cool. 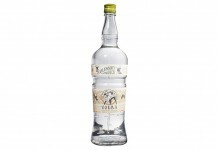 American Harvest is a wheat-based vodka and it feels very soft and lush on the palate. Its creamy, sugary vanilla notes begin to really open up in the mid palate as it transforms into one of the sweetest vodkas we’ve tried. As American Harvest moves toward the finish, it brings on the slightest bit of wheat grain note and a hint of heat. The finish is marked by a notable sugary residue that’s left on the palate and lingers for a very long time. The note is a fairly natural sugar taste akin to white table sugar. American Harvest Organic Spirit could technically be filed as a “flavored vodka” as the bottle clearly states that it’s “Organic Vodka & Organic Flavor”. One of those flavors is obviously sugar, but we’re at a loss to figure out exactly what else they’re putting in here. We asked the brand about the flavorings and were told that it’s a proprietary blend of flavor which is aimed at making it very clean and smooth. Whatever they’ve added to it, the result is as intended: a very sweet and easy drinking vodka. For some, American Harvest is simply going to be too sweet. 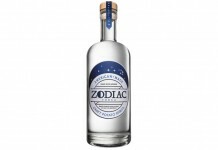 There’s a good deal of sugar in this vodka and the sugary sweetness really defines the core of its flavor profile. That being said, the sweet notes resemble more natural sweet tones than other flavored vodkas we’ve tried, and we realize that many vodka drinkers like sweet vodka drinks, so for them American Harvest may be a revelation. American Harvest rolls in into 7 smaller test markets in 2011 (including Portland, Arizona, Colorado, Idaho, Indiana, South Carolina and Maryland) and then expands nationwide in 2012. 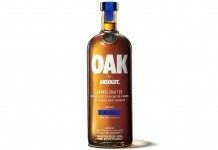 It’s a very measured marketing plan for a vodka that has serious potential to become a major vodka brand.